Join Environics Analytics’ Senior Vice President and Chief Demographer Doug Norris and Nader Shureih, Director of Business Development, as they provide insight into the lifestyles and changing demographics of older adults, and use case studies to discuss the best ways to reach these groups with fire safety messaging. 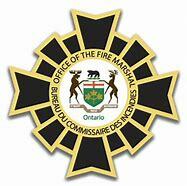 Also, chief officers from Mississauga Fire and Emergency Services will discuss how their community risk assessment informs their public fire safety education programs, and a representative from Central York Fire Services will discuss how they tailor fire safety programs for their seniors and personal support workers based on the different types of older adults in their community. hear about new tips, resources and ideas to reach older adults in your community. Cost: Registration is free. Lunch will be provided. Attendees will pay for parking only. Registration will be open until end of day February 15, 2019! Register today! An agenda and parking details will follow to registered participants. If you have any questions, please contact the OFMEM’s Public Safety Education section. Please share this notice with your colleagues. If you want to be added to our subscription list please do so here.